They offer bigger samplers through the year, but every now and again they offer little boxes of samples. This time there were two boxes to choose from: home or beauty. You had to take a survey and I got the home box with the laundry detergent, Magic Eraser, etc. So it's funny when my box arrived and it was actually the beauty box! I'm not complaining one bit, because the contents are awesome! 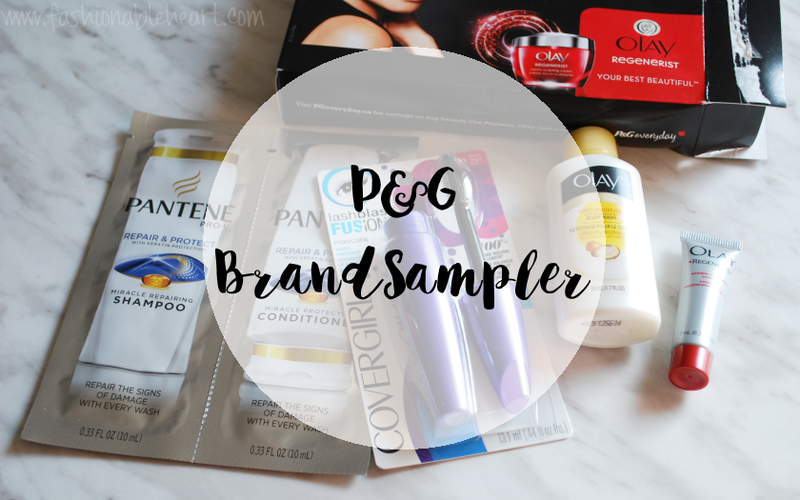 The P&G BrandSampler is a free program that you can sign up for at P&G Everyday. They offer their services to many countries. I'm not sure that you can get the sample boxes outside of the US and Canada, but they do offer great coupons. Totally worth looking into! You can see my last full-sized sampler box here. 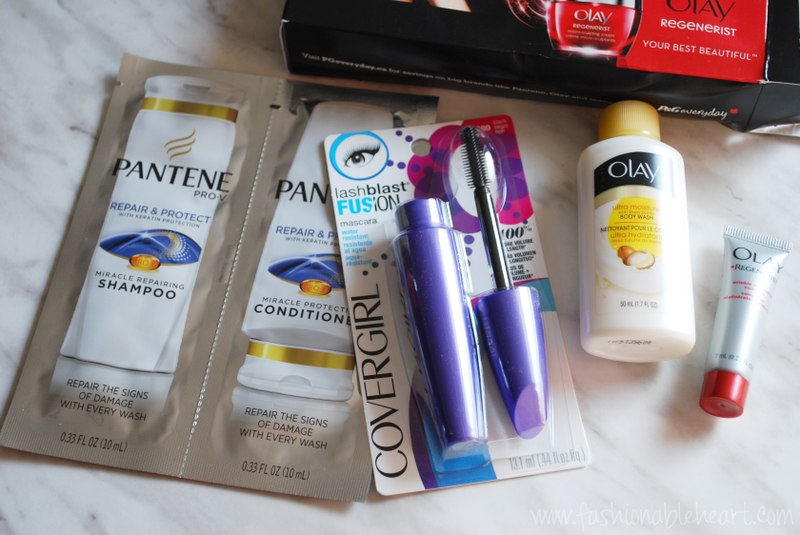 Pantene Shampoo and Conditioner packets - I enjoy getting and saving these for when I travel anywhere! Full-sized CoverGirl LashBlast Fusion - Love the original, can't wait to try this one. Olay Ultra Moisture body wash - Ahhh, I adore everything with shea butter in it! Olay Regenerist cream - Anything that fights against future wrinkles is okay with me.